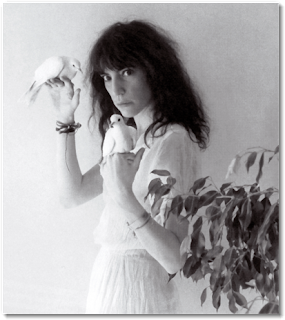 Considered by many the mother of alternative rock music, Patti Smith was born on December 31, 1946, in Chicago, Illinois, but spent most of her youth in Pitman, New Jersey. Growing up in a blue-collar family, she became a fan of pop music, especially the songs of Little Richard, the Ronettes, and Martha and the Vandellas. She had equal enthusiasm for the work of the French symbolist poet Arthur Rimbaud, which she discovered in high school. Smith attended Glassboro State Teachers College but dropped out when she discovered she was pregnant. She gave up the child for adoption and moved to New York City briefiy before heading to Paris to study art. She hoped to become a painter, but as she developed a cartoon-like style, she discovered she was more compelled by words than by images. Smith returned to New York, determined to devote herself to writing. Living at the Chelsea Hotel, Smith became acquainted with the leading figures of New York’s avant-garde, including Andy Warhol and William Burroughs. She became romantically involved with playwright Sam Shepard, with whom she cowrote the play Cowboy Mouth. In addition to three books of poetry, she also wrote poems and essays for Rolling Stone, Creem, and other music magazines. 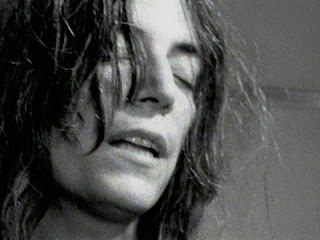 In May 1971, Smith started giving poetry readings accompanied by guitar music played by her friend Lenny Kaye. Music became increasingly important in her performances, especially after she started a relationship with Allen Lanier, the keyboardist for the band Blue Öyster Cult. With Lanier’s encouragement, Smith began experimenting with writing songs and developing more confidence as a performer. By 1975, Smith was backed by a five-person band, billed as the Patti Smith Group, and making regular appearances at top rock clubs, such as Max’s Kansas City and CBGB. After a successful tour, Smith issued her second album, Radio Ethiopia (1976). The record was a disappointment commercially and critically. Many of Smith’s admirers believed she was becoming too self-conscious because of her new status as a rock star. Smith herself came to agree, after she fell from a 12-foot stage onto her head during a 1977 performance. Having broken her neck, she spent her long convalescence reevaluating her art and coming to terms with her stardom. On her return to performing, she told a journalist of her new sense of confidence, saying “I feel equal to anyone in rock ‘n’ roll.” Smith was at the top of her form with her next album, Easter (1978). It featured her only top 20 hit, “Because the Night,” which she cowrote with fellow New Jersey native Bruce Springsteen. Suffering by its comparison to Horses and Easter, her next album, Wave (1979), was not as well received. In the 1980s, Smith surprised her fans by giving up performing and recording. With her husband, Fred “Sonic” Smith, the former guitarist for the bands MC5 and Sonic’s Rendezvous, she moved to Detroit to start a family. She devoted herself to raising their children, Jesse and Jackson, though she continued to write poetry for herself. Smith considers this period out of the public eye as her most creatively productive years. In 1988, Smith returned to the recording studio to produce Dream of Life, but the new album failed to find an audience. Bockris, Victor, and Roberta Bayley. Patti Smith: An Unauthorized Biography. New York: Simon & Schuster, 1999. 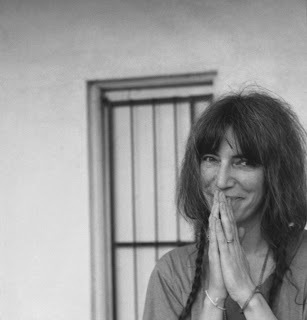 Smith, Patti. 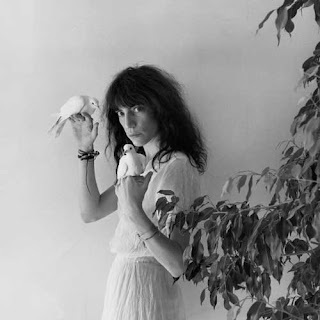 Patti Smith Complete: Lyrics, Refiections & Notes for the Future. New York: Doubleday, 1998. Gung Ho. Arista, CD, 2000. Horses (1975). Arista, CD, 1996. Masters: The Collected Works. Arista, CD set, 1996.